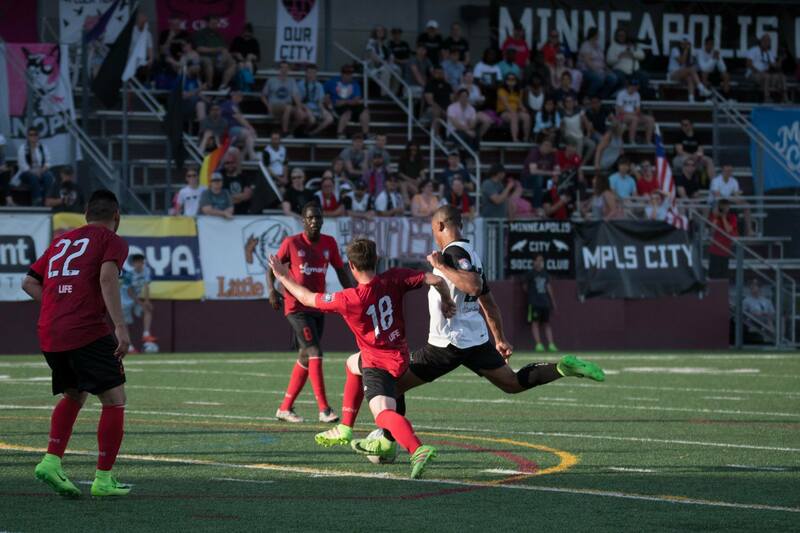 Minneapolis City SC burst on the scene in 2016 and, since then, has been one of the driving forces in the exploding lower division soccer scene in Minnesota. The well-hyped club, which finished 8-1-5 last year, heads into Saturday’s home opener against Rochester’s Med City FC with as much visibility and expectation as they have ever had. 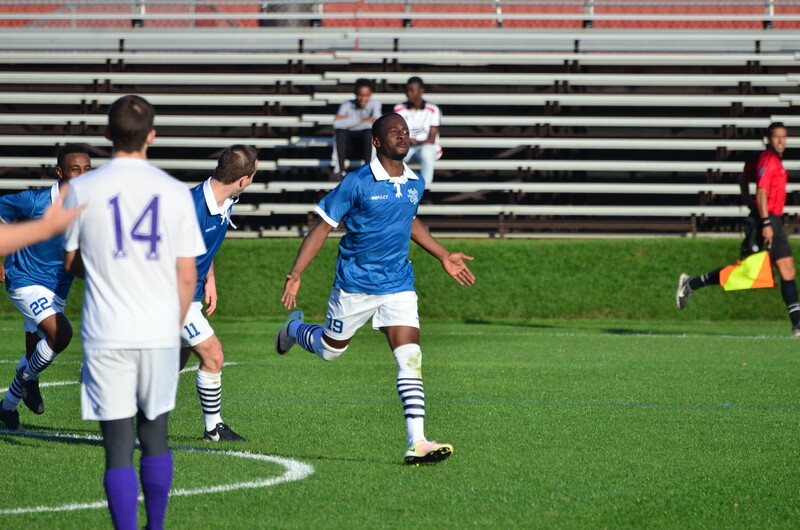 Here are six things to know about Minneapolis City SC this season. Brandon Bye in action at Edor Nelson Field. Photo courtesy of Minneapolis City SC. The Crows have had to leave cozy and atmospheric Edor Nelson Field because of construction at the adjacent Augsburg University Ice Arena (NPSL standards for amenities like locker rooms would not have been met during the construction). They will be at Osseo Senior High School’s stadium this season and, though the location is hardly as central as Augsburg, it could have some advantages. As at Augsburg, there will be a food truck, concessions, and typical amenities. Tickets for home games are $8 online and $10 at the gate. Kids six and under are free. Martin Browne. Photo courtesy of Minneapolis City SC. The club voices a commitment to giving opportunities to local players, in contrast to other clubs in the conference that bring in players from across the country and internationally, and house them for the summer. MCSC’s approach has pros and cons, with one of the pros being admirable roster consistency that allows fans to build relationships with players spanning multiple seasons. “That so many guys keep coming back to City is a testament to what we’re doing as a club,” said Hoedeman. Full back Charlie Adams of Stillwater is another returning player to keep an eye on. He was my pick as one of the top full backs in the conference this past season, and the converted midfielder has ability on the ball, vision, and a battling attitude that makes him a key player on the field. He will be a critical piece of the tactical puzzle. Northwestern and Minneapolis City’s Tommy Katsiyiannis. 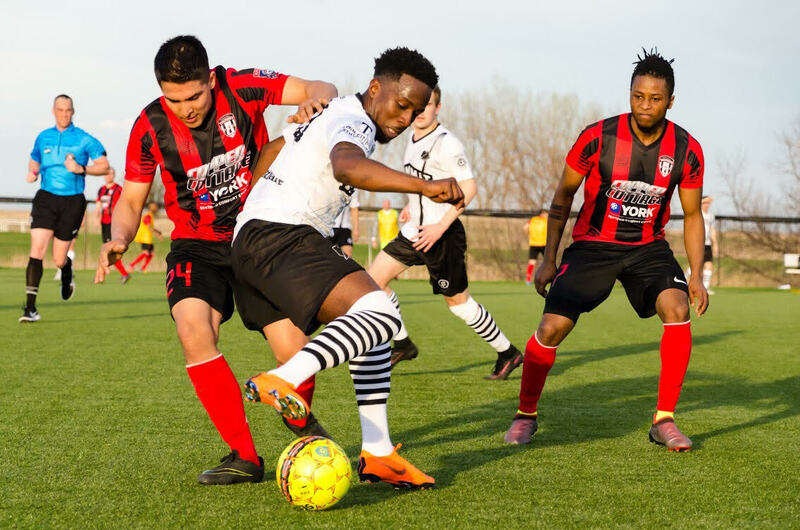 Though the self-styled “Athletic Bilbao of the North” are laser-focused on Minnesota-based talent, that does not mean that recruiting isn’t a critical part of building an NPSL team. Especially with two other teams in the metro and nearby teams in Rochester and Duluth, the competition for talent is fierce. Minneapolis City, under the auspices of Sporting Director Jon Bisswurm, tend to boast top recruiting classes. 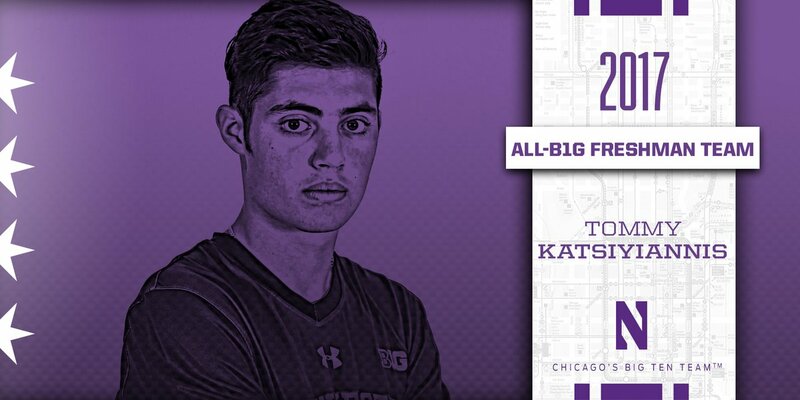 Eden Prairie native Tommy Katsiyiannis, who finished his freshman season at Northwestern picking up Big 10 All-Freshman Team accolades, is a player to watch. The attacking midfielder was excellent with the Wildcats and has even been called into the U.S. national team camp in the past. While he will join the team late due to the Northwestern academic calendar, he has the potential to be among the very best creative midfielders in the North. Augsburg University midfielder Lionel Vang is another sharp, tricky midfielder to keep an eye on. From Little Canada, Vang has already stepped up from MCSC’s U-23 team to start the Crows’ season opener, and it’s fair to expect to see him with the senior team again. All-MIAC and All-Region Third Team his sophomore year for the Auggies, Vang’s dribbling ability, low center of gravity, and willingness to take on a man make him an exciting player to watch. Whitney Browne fires Minneapolis City into the U.S. Open Cup first round. Photo courtesy of Minneapolis City SC. After becoming the first amateur team from Minnesota to qualify for the U.S. Open Cup, beating Oakland County in an amateur qualifying match, the Crows were disqualified due to a rule violation around their move to the NPSL. 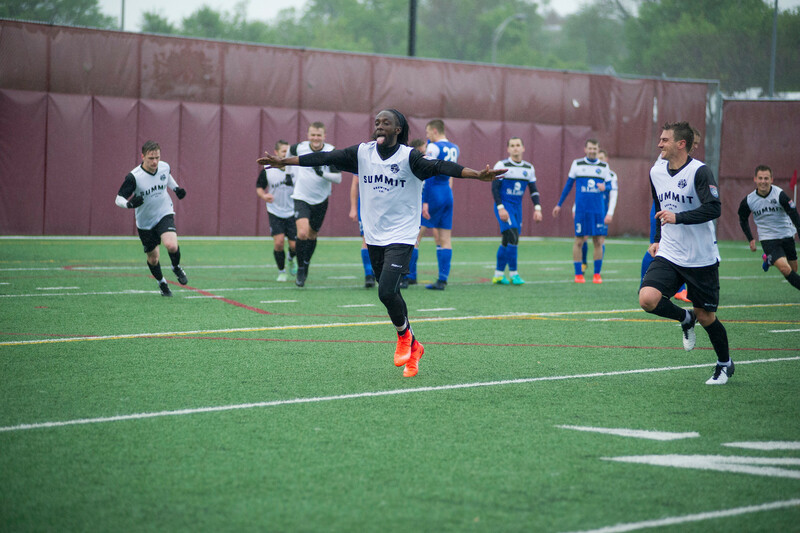 This year’s Open Cup qualifiers drew the Grumpy Cats away to Kansas City, Chicago, and Rochester, NY. Though the Kansas City side forfeited, MCSC still traveled over 3,000 miles only to fall in a hotly contested match against fellow NPSL-team Rochester River Dogz. Last season, Minneapolis City averaged nearly 500 fans per game. That was, according to the club, a 40-percent increase from the year before. Despite the temporary move to Osseo, the club has seen another significant increase in season ticket sales and expects the gates to increase. The Citizens supporters group has arranged the “Murder Bus,” a bus that will take fans from the New Bohemia bar and restaurant on Lake Street in Minneapolis to the game and back, like the old Dethloon Express would take fans to Minnesota United games in Blaine. That is just another sign of the entrenched and growing support and interest around the club, and it shows no signs of abating. Whitney Browne takes on Sioux Falls Thunder. Image courtesy of Travis Gallipo. 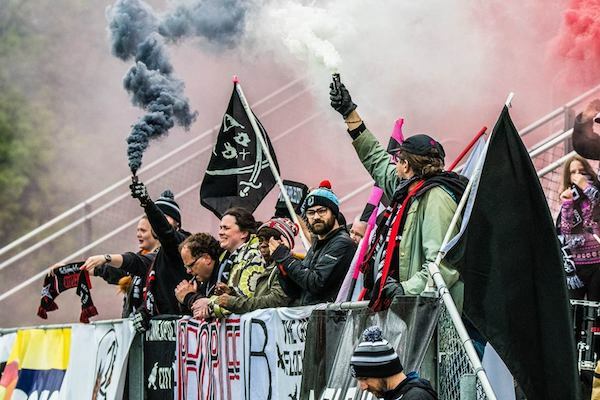 Given the visibility of the club — its home opener will be the NPSL National Game of the Week — expectations are always high. In my own focus group of one, I have the Crows pegged to finish just outside of the playoff places. Duluth’s camaraderie, talent, and physicality make them the prohibitive favorites, and City did themselves no favors by thoughtlessly dropping two points against a very weak Sioux Falls team last weekend. Still, MCSC is an extremely talented group. It may actually be the most talented group in the conference, but to date has struggled to put it all together. Minneapolis City’s home opener against Med City FC is this Saturday May 12 7:00pm at Osseo High School.